AV-Comparatives has given Fortinet’s FortiGuard full marks in its recent December Summary Report 2013. The Fortinet Advanced Threat Protection (APT) technology was given top marks (3 stars) for anti-phishing, proactive catch rate, file detection, malware removal, and its real-world test. For the report, AV-Comparatives assessed FortiGuard along with 21 other antivirus products for their ability to block malicious software without preventing legitimate content from being accessed. The assessments took place over the course of the year. AV-Comparatives publishes the findings of its research in its annual report and highlights the products that have performed the best and achieved the highest scores across all of the test areas. The reports help businesses choose the most effective anti-virus products. All of the 21 products under test achieved reasonable and acceptable scores in all test areas, although some products provided outstanding protection. Those products were recognized and give awards. 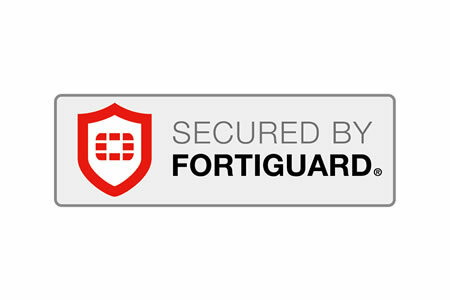 FortiGuard features in Fortinet’s network security offering – FortiGate – and its FortiClient endpoint security solution and provides essential protection for businesses from today’s advanced persistent threats. At the heart of FortiGuard is a powerful antivirus engine that is capable of decoding and tracking polymorphic, encrypted and packed malware in real time, and identifying and blocking threats that have been engineered to evade detection by AV solutions. Fortinet has also developed technology that allows it AV engine to detect and block unknown threats and new malware and variants, even when a detection signature does not exist. The AV engine is incorporated into a wide range of FortiGuard products, including Fortinet’s web and email filtering solutions, IPA/Application control, Analytics/FortiSandbox, and its Botnet Database that prevents remote C2 communications based on IP reputations.